We have often walked passed Ocean Beach in San Antonio, peered through the glass and once or twice even hopped up on the outside wall to have a nosey over the top, but personally we have never ventured through the doors. Being middle aged, a day at Ocean Beach or O Beach Ibiza as it is now known we presumed was simply not for the likes of us. However, in August this year a group of dear friends (who are 10 years or more younger than us) had booked a bed and invited us along to experience all that is O Beach. Slightly nervous and believing we were too old, would feel out of place, were too out of shape and not really your standard O Beach type we nervously made our way into the venue in the early afternoon for Hotbed. And boy, how wrong we were. Everyone, and we really do mean everyone, from the security staff on the door, the reception staff, the waiters and waitresses, bar staff and entertainers they all welcomed us with beaming smiles, pleasantries and open arms. The mix of people inside O Beach was far more wide ranging than we could have ever imagined ranging from the youngsters all glammed up to the nines and young guys with perfect rippling pecks but also and to our pleasant surprise contained lots of people of all ages, shapes and sizes mixing together and having a wonderful time. 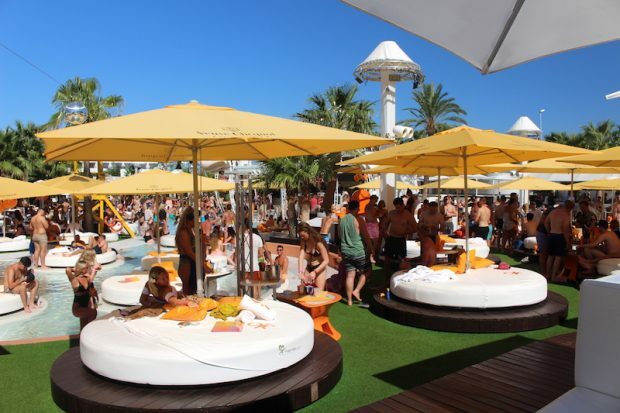 The O Beach venue itself is stunning in design with circular beds, cabana’s, tables and sun loungers for guests to book and use on the day. The centrepiece to the venue is the stage / DJ booth which has a free moving space in front for those wishing to dance or watch the entertainment and located behind this booth is the restaurant where you can relax at a table and have something more formal than food on your booked bed. Upstairs you will find the roof garden that has a smaller collection of cabana’s and sun loungers which are perfect for those who like it a little quieter but still want to enjoy the full O Beach experience. After looking around we settled ourselves on our bed with the music pumping out from vocal house DJ’s Danny Langan, Parris Taylor, Will Taylor & Benny Ataari coupled with Josh Arise on Sax & Jwalks on Percussion. The music really did act as an accompaniment to the whole day, it never felt too loud or too much and helped everyone relax and have a good time. Naturally it was then time for a drink. 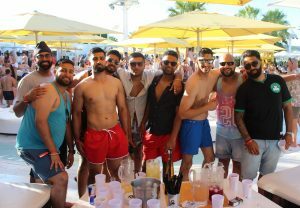 The whole world would have you believe that Ocean Beach is as expensive as it looks and overpriced, but again this is completely untrue and to our delight, the prices are very reasonable for the surroundings, atmosphere and entertainment on offer. 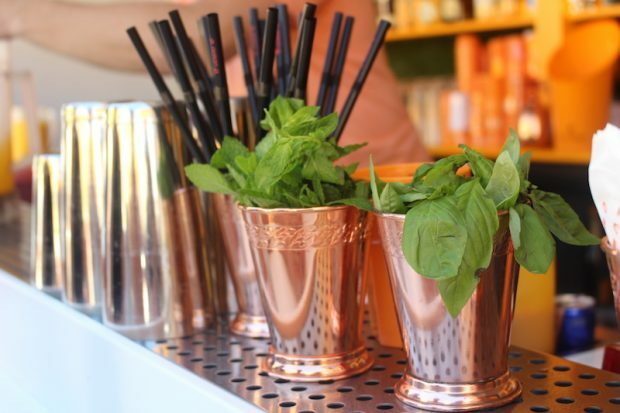 We are Mojito lovers, which is a great way to judge different establishments and I have to say the bar staff know how to mix a good mojito and at €13 the prices are consistent with what you would expect to pay for a good Mojito in a venue offering so much. The food is well presented and tastes delicious, and yet again the prices are very reasonable for the quality, taste and portion sizes given. Some people may misunderstand the pricing due to the way the VIP beds work, where you pay a total fee for the use of the bed for the day which includes a cover charge and a minimum spend level. 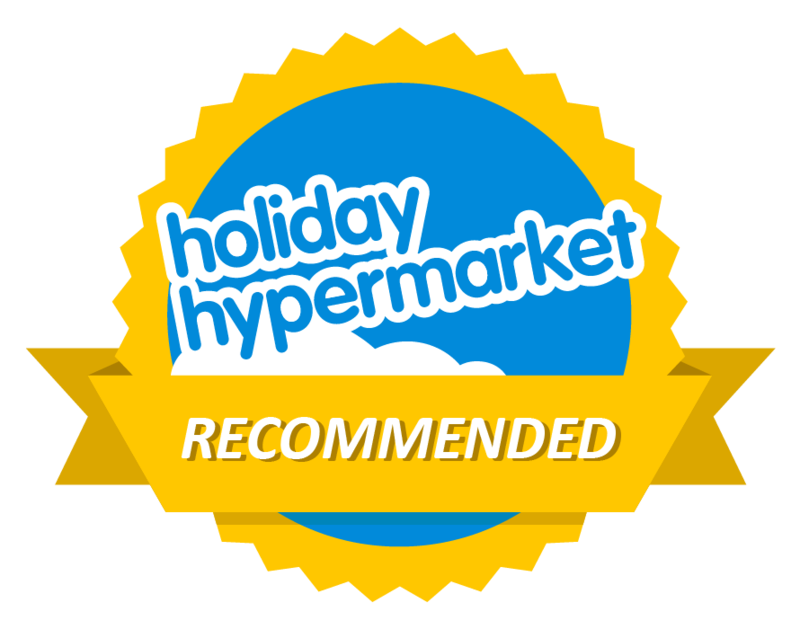 For example say you book a 10 person bed which in total costs €900, out of this €150 is the cover charge or to put it another way your entry free which is €15 per person (again very reasonable). This leaves you with €75 each to spend on food and drinks which makes up the other €750, and with the food and drink being so reasonable you really do get a lot for your money. 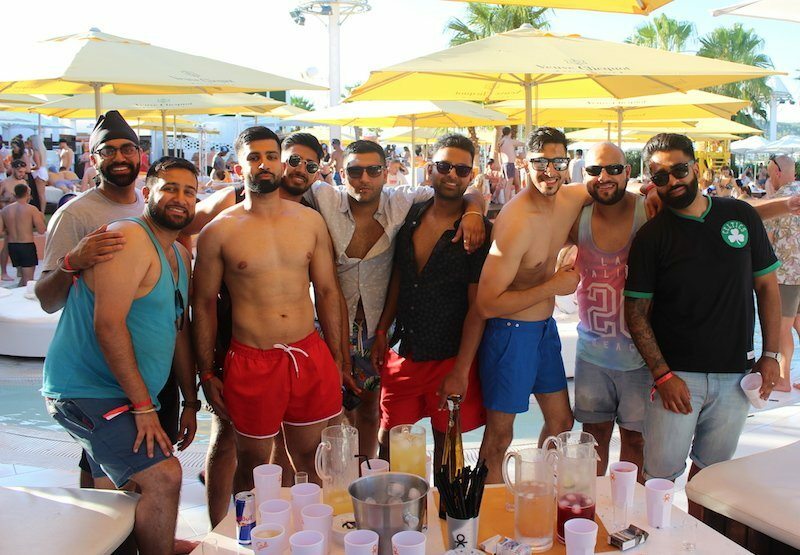 Of course, there are fine wines and champagne to cater for every taste and budget so if you want to splash out on something more extravagant then O Beach is the perfect venue to do so in. 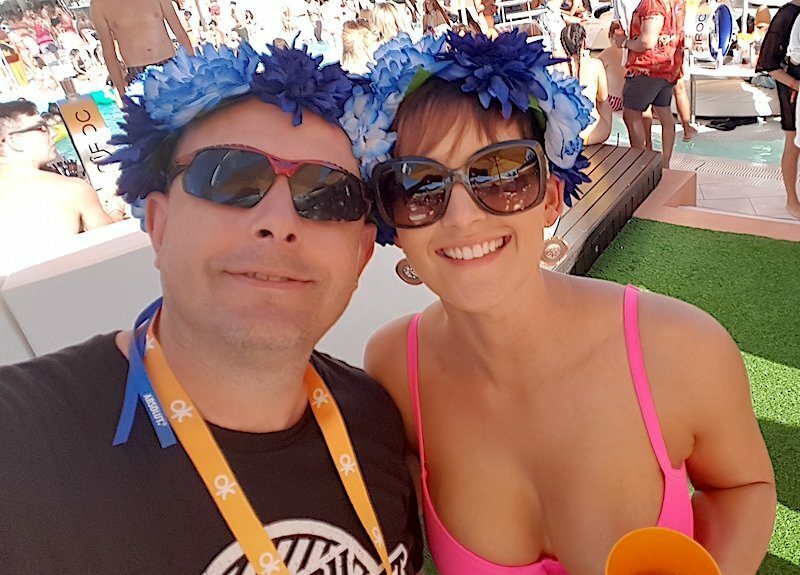 O Beach doesn’t have to be a pre-planned event as part of your holiday, you can of course just pay an entry fee for each day’s events, although it has to be said we did enjoy the comfort of the VIP bed as a base and it gave us somewhere to relax and chill out as and when we wanted to. Throughout the day there were several parades and entertainment around the stage area with fantastic dancers, props and streamer cannon’s a plenty. 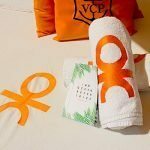 The production that Ocean Beach puts into each and every event is extremely high and draws everyone’s attention, regardless whether you are floating on inflatables in the pool or simply relaxing on the beds. The entertainment just adds to the atmosphere and all those around us and we spoke to thought it was great fun and something not experienced anywhere else. Now what we didn’t expect was the social side to Ocean Beach, and although each group has their own beds everyone intermingles easily and chats away about Ibiza to each other. It’s very relaxing and for us it was great to hear from other people about their experiences on the island. We went into O Beach thinking we’d stay a couple of hours but enjoyed it so much we stayed until the sun set and as we made our way out into the evening light we knew that we will be returning to O Beach again due to the welcoming staff, entertainment and relaxed nature of the venue we loved it all. It may not be for all middle agers but if you love the music on offer I would urge you to visit Ocean Beach, especially if you are with a group of friends on your next trip to Ibiza as it will definitely be one of the high points of your visit. 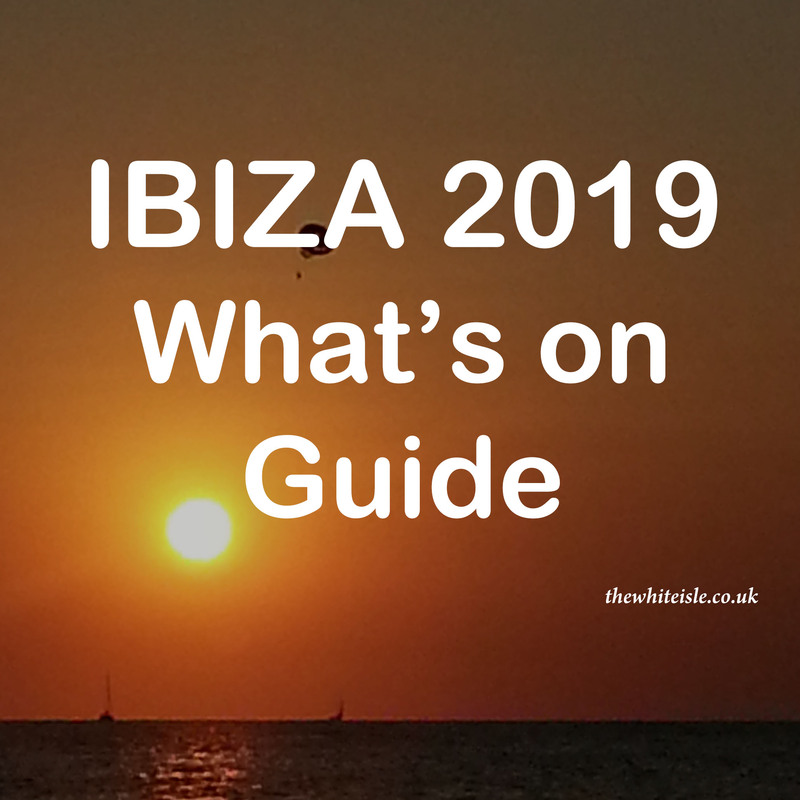 Ahead of the 2019 season, Ocean Beach Ibiza renamed to O Beach Ibiza run by the same team offering the same experience just a new name and you can a full list fo whats on here. 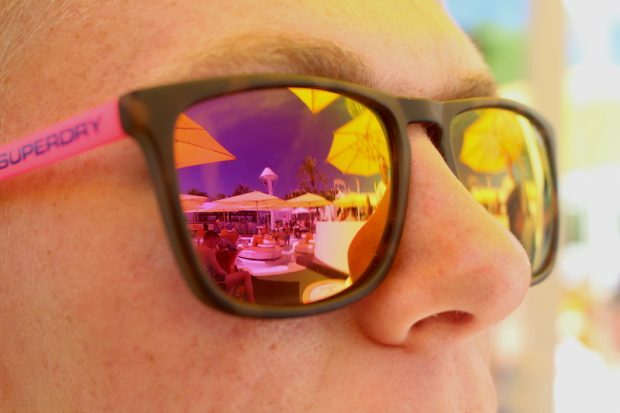 You can find out more about O Beach Ibiza by visiting their website at obeachibiza.com or via social media FaceBook FaceBook/OBeachIbiza, Twitter @OBeachIbiza or Instagram @Obeachibiza. Our thanks go to Hannah Brooks for the invitation and to the staff of O Beach for making us feel so welcome across our day with them.